Prices start from £15.00 per week. Discounts available on longer term rentals when rentals are payable in advance for the full period. For full information on prices please call 01922 646611 anytime day or night, and we will be pleased to give you a competitive quote. 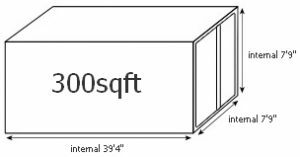 300 sqft: 2360 cu ft of space for business, domestic or document storage. 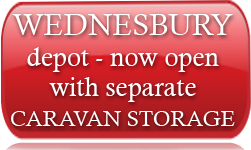 Can store upto 600 standard archive boxes with shelving or the equivalent contents of a large 3-4 bedroom house. 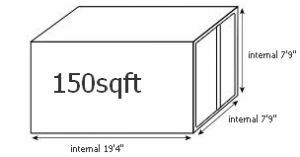 150 sqft: 1150 cu ft of space for business, domestic or document storage. Can store upto 300 standard archive boxes with shelving or the equivalent contents of a 3 bedroom house.